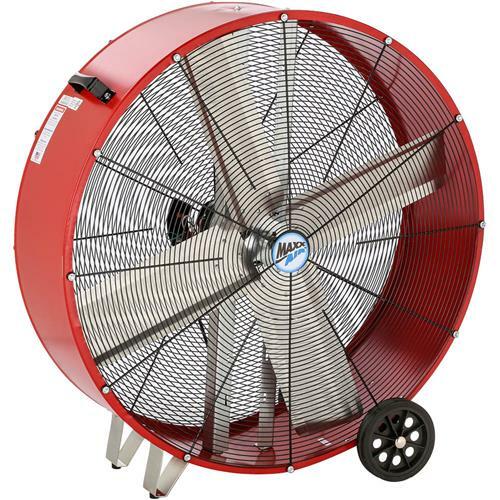 The MaxxAir Direct Drive Fan is for business use and medium-sized ventilation needs. The fan can be used to keep people and machines cool, and help dry water-damaged areas. Its housing is constructed of rugged 22-gauge, powder-coated steel for durability. The grille is rust resistant, powder-coated, and OSHA compliant. 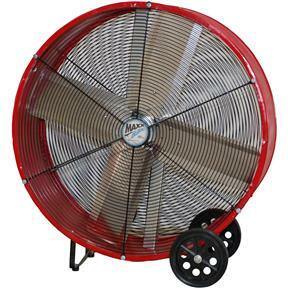 The fan is shipped completely assembled; to operate simply plug into a standard outlet. Dimensions - 37.5" x 39" x 12.5"
Box Dimensions - 40.75" x 38" x 16.5"